If you've read about last month's Jewelry for Charity Set, you know there's a young boy from Louisiana battling cancer who has touched my heart and, along with his family, become a special part of my life. As a last resort for treatment, Dylan was sent to St Jude Children's Research Center for a clinical trial. Unfortunately the trial was not successful and there's nothing more that can be done. September is Childhood Cancer Awareness Month. I designed this necklace in gold/yellow because it's the awareness ribbon color for Childhood Cancer. And, in honor of Dylan and the chance they tried to give him, I've decided that the donation from this month's piece will go to St Jude. 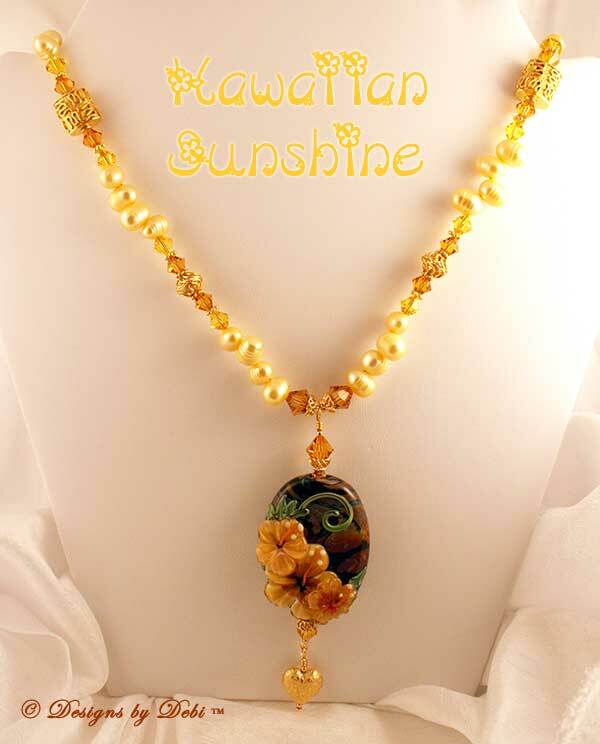 The gorgeous hibiscus focal was handmade by Susan at Doodletart Glass. 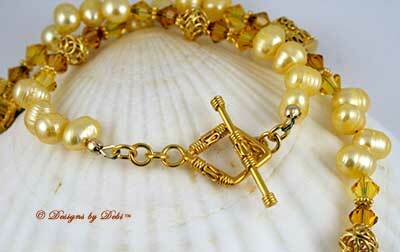 I used some beautiful, golden yellow, dancing freshwater pearls along the length of the necklace. Bali vermeil squiggle pillows, filigree bicones and caps, daisy spacers, diamond-shaped toggle clasp and puffy heart dangle add rich golden color and interesting textures to the piece. I added light-catching shimmer and darker accent tones with Swarovski crystal bicones in topaz and light topaz. For those of you not familiar with it, St Jude Children's Research Hospital was opened in Memphis, Tennessee in 1962 by Danny Thomas to find cures for the catastrophic diseases of childhood with its focus being on childhood cancer. It had 125 employees and an annual budget of $1 million. Over the years AIDS Research was added and their annual budget increased to $100 million. In 2005, they completed an expansion that more than doubled the size of the original campus. They've added gene therapy and expanded their focus to include infectious diseases and genetic disorders and now have 3,400 employees and an annual budget of over $400 million. Their founder's vision was for no child to be denied treatment based on race, religion or a family's ability to pay and the facility adheres to that vision today. There's no place like St Jude and it's a beacon of hope, often a last resort, in a parent's darkest nightmare. To find out more about St Jude Children's Research Center or to make a donation on your own, go to www.StJude.org. 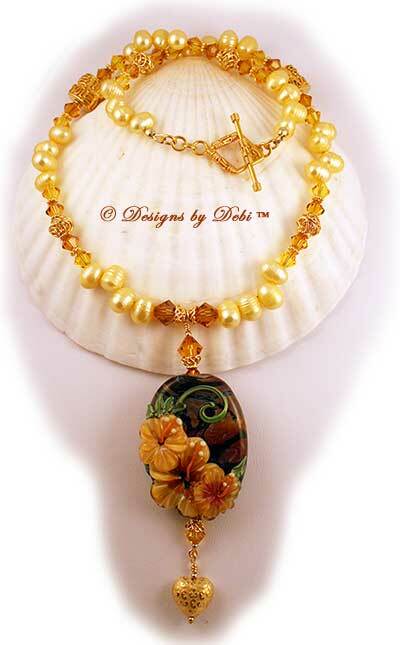 The necklace measures 19 1/2 inches long and the center adornment hangs down 3 3/4 inches.